Shades of Green is available now! 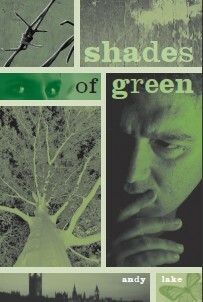 Shades of Green was published yesterday! The paperback version is available from Amazon.com and Amazon.co.uk. Or do go through my author website – that brings a few more pennies to the author! If you buy it, I recommend downloading the Green Spectrum (link in menu above) as a graphic character list for reference as you read. PS – Kindle version is coming in a few weeks. I’ll keep you posted.